The ski resort of Airolo is made of two cableways, three ski lifts and a chair lift that bring skiers from the starting point located at 1175 m - to the slopes of Sasso della Boggia (2065 m), Comascnè (2081 m) and Varozzei (2256 m). 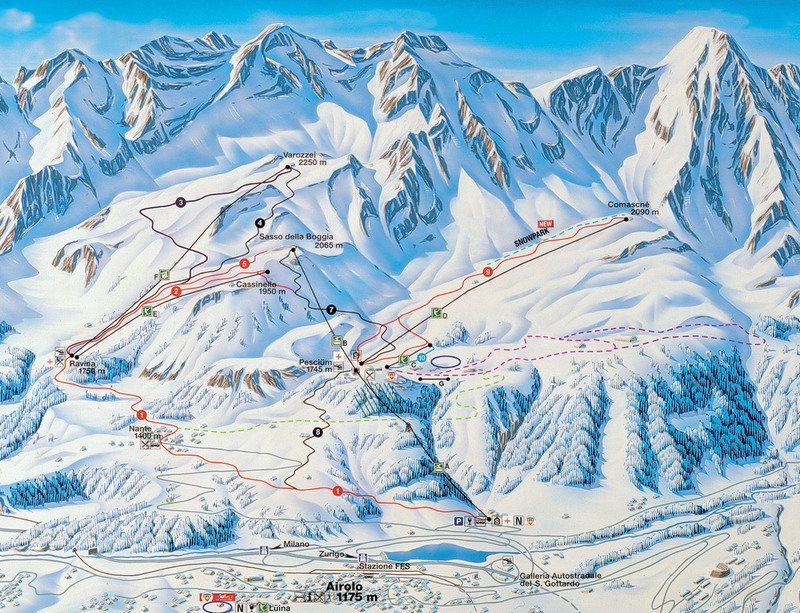 With mostly red and black slopes the ski area is a paradise for advanced skiers. The yukipark provides a lot of fun and variation with it`s rails and kicker for boarders and skiers.